Working under perilous conditions is habitual activity for construction site workers. Among scaffolding and climbing ladders, handling dangerous equipment such as, power tools, trenches, forklifts, can result in serious injury or death. Accidents can potentially even cause individuals to become unproductive or immobile for the rest of their lives. Once injured, seeking financial support from insurance companies can take days. With convoluted policies and days of processing, insurance providers may not award compensation till later on, leaving a suffering victim in financial limbo. During a construction site accident, it is best to promptly connect with a construction site accident lawyer for reasons listed below. The lawyer is always on your side as he benefits through your win. The lawyer will be the best one to guide you to the right amount of settlement, if that situation arises. 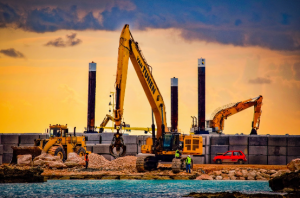 Even if you seek an out of court settlement, a professional construction site accident lawyer will help you get the best amount even if it is out of court. Only a lawyer can come up with alternate strategies to help the victim get the terms in his favor. There are always some specific clauses that can assist you and your family to stay protected for an extended period of time. Our experienced accident lawyers, incorporate these clauses into your case. To ensure that one acquires a professional construction site lawyer in NYC, contact the team of Law Offices of Spar & Bernstein. During Spar & Bernstein’s free consultation, attorneys directly inform those of the case’s merit. The attorneys also work on compassionate grounds, and know how important justification and compensation is to reduce the victim’s pain and suffering. To know how the expert team of Law Offices of Spar & Bernstein can make a difference in your life, contact them NOW!